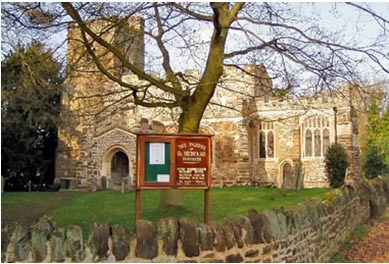 St Nicholas’ church is an unusual creation, a Grade 1 listed building. It dates back to the 13th century and was rebuilt during 1558-1603. There is a three-tier monument to the builder’s father and his two wives. Besides, many kneeling figures and other interesting things are around. This walk to St Nicholas’ church starts from Cranfield village. It will be going mainly through fields and wood land along country paths and roads. We will have access to the delightful interior of the church (before the church could only be peered through the windows)! This entry was posted in Blog, Local walk, News, Past events, Walks and tagged church, nicholas, st..